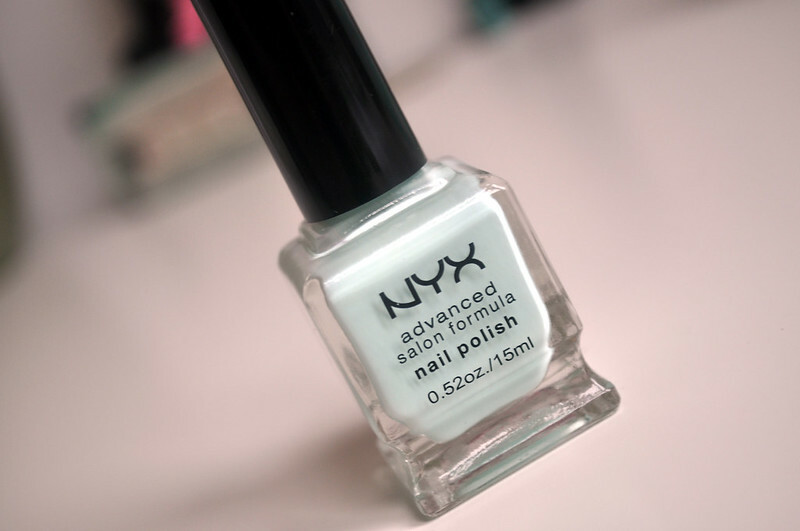 As the name describes, this NYX polish is a lovely mint colour. Can you tell I'm trying to find the perfect mint colour? This one's just a little bit too blue to be perfect but it's pretty close. It's just the right shade of pastel though. I love the shape of the bottle, very similar to Deborah Lippmann, but I did find it hard to hold while I was painting my nails. The formula of this is a little streaky and thin. On my left hand I only needed two coats but my right needed three. I bought this from Cherry Culture along with a few other NYX polishes and delivery was surprisingly quick. Apart from Ebay that was the first time I'd ordered anything from America. Aw what a lovely pastely shade. Ha I love how NYX totally ripped off Deborah LIpmann packaging. But at a fraction of the price who wouldn't want to go for the NYX nail polishes.